GREAT SELF-DISCOVERY QUOTES. How To Discover Yourself, Finding Yourself. Your Higher Self. If you want to be wiser, quiet your mind. 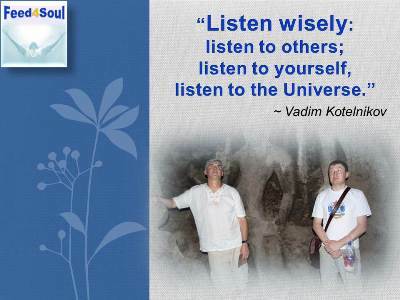 (Vadim Kotelnikov) Quotes by Buddha, Osho, Stephen Covey. 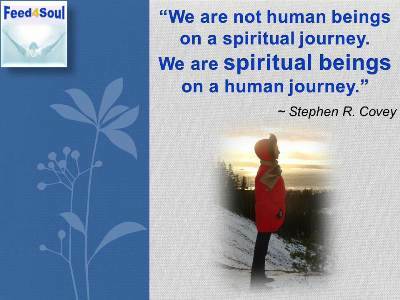 We are not human beings on a spiritual journey. We are spiritual beings on a human journey. Watch your thoughts; they become words. that are not nurtured by love. We are what we think. → The Way is not in the sky. The way is in the heart. The creative is the place where no one else has ever been. You have to leave the city of your comfort and go into the wilderness of your intuition. What you'll discover will be wonderful. What you'll discover will be yourself. Each one has to find peace from within. And peace – to be real – must be unaffected by outside circumstances. → Your life mission is the reason you exist. Every soul comes into this world charged with a unique, positive purpose. Don't let the vanity cacophony to mute your life symphony. Dream big dreams, commit to → your true passion, and you will learn to fly! – choose progressively more challenging tasks. When I do something, it is all about self-discovery. I want to learn and discover my own limits. You were born with wings, why prefer to crawl through life? the highest form of Human Excellence is to question oneself and others. You don't need anybody to tell you who you are or what you are. You are what you are! and he will always remain a slave. Any human being who is becoming independent of conditionings, of religions, scriptures, prophets and messiahs, has arrived home. He has found the treasure which was hidden in his own being. We may go to the moon, but that's not very far. The greatest distance we have to cover still lies within us. There is a light that shines beyond all things on earth, beyond the highest, the very highest heavens. This is the light that shines in your heart. There is something you must always remember. You are braver than you believe, stronger than you seem, and smarter than you think. Challenges make you discover things about yourself that you never really knew. They're what make the instrument stretch – what makes you go beyond the norm. We are not human beings on a spiritual journey. We are spiritual beings on a human journey. If you shoot for the stars and hit the moon, it's OK. But you've got to shoot for something. A lot of people don't even shoot. Breaking the cycle takes time. Be Patient and Gentle with yourself. Set long term goals. And be persistent! Remember to Stretch, Laugh and be Unshakable! Man is made or unmade by himself. By the right choice he ascends. As a being of power, intelligence, and love, and the lord of his own thoughts, he holds the key to every situation. The greatest explorer on this earth never takes voyages as long as those of the man who descends to the depth of his heart. What you are you do not see, what you see is your shadow. what they are running from, and to, and why. Finding happiness is like finding yourself. You don't find happiness, you make happiness. You choose happiness. Self-actualization is a process of discovering who you are, who you want to be and paving the way to happiness by doing what brings you the most meaning and contentment to your life over the long run. Never mind searching for who you are. Search for the person you aspire to be. I've learned... That being kind is more important than being right. Much happens in the course of our careers as we climb the achievement ladder. We can sometimes, slowly and imperceptibly, wander off from our authentic selves, the core of who we are. As the blazing fire reduces wood to ashes, similarly, the fire of Self-knowledge reduces all Karma to ashes. You owe it to us all to get on with what you’re good at. Though I might travel afar, I will meet only what I carry with me, for every man is a mirror. We see only ourselves reflected in those around us. Their attitudes and actions are only a reflection of our own. The whole world and its condition has its counter parts within us all. Turn the gaze inward. Correct yourself and your world will change. We are here to awaken from the illusion of our separateness. They who give have all things; they who withhold have nothing. Every person above the ordinary has a certain mission that they are called to fulfill. Be magic… choose and believe that you can do anything you set your mind to... believe… We are who we choose to be. I really believe that everyone has a talent, ability, or skill that he can mine to support himself and to succeed in life. Following your feelings will lead you to their source. Only through emotions can you encounter the force field of your own soul. Look within. Within is the fountain of the good, and it will ever bubble up, if thou wilt ever dig. You're never too old to become younger. I believe that everything happens for a reason, people change so that you can learn to let go, things go wrong so that you can appreciate them when they're right, you believe lies so that eventually you learn to trust no one but yourself, and sometimes good things fall apart so that better things can fall together! Do not follow the ideas of others, but learn to listen to the voice within yourself. Your body and mind will become clear and you will realize the unity of all things. We are all born with a divine fire in us. Our efforts should be to give wings to this fire and fill the world with the glow of its goodness. Strive to close the eyes of the body and open those of the soul and look into your own heart. You are extraordinary within your limits, but your limits are extraordinary! The most important kind of freedom is to be what you really are. You trade in your reality for a role. You trade in your sense for an act. You give up your ability to feel, and in exchange, put on a mask. There can't be any large-scale revolution until there's a personal revolution, on an individual level. It's got to happen inside first. The best things happen at the exit ramp of your comfort zone. There are better golfers, there are better drivers, there are better swimmers, and there are better cooks. The one thing that no one can ever be better than you at is... being you. Just be you. There's no one more qualified for the job. It may be that when we no longer know what to do, we have come to our real work, and then we no longer know which way to go, we have begun our real journey. We're so programmed to think we need food, we need water, we need sleep, we need this we need that... to live. I believe we can generate all that we need from within. I believe when Jesus said: "I'm the bread of life and the living water..." He meant it literally. John 6:22-71. (Many yrs. ago I met a lady who has not eaten for 3 yrs., but you won't notice because she still leads a normal life − has a husband and 3 kids. I've met quite a few people who could fast for 40 days straight effortlessly.) I also believe "the Kingdom of Heaven is within us" Luke 17:21, is literal. All that we ever need is already in us. It's not who you are that holds you back. It's who you think you're not. Wellness isn't about deprivation and it's not about perfection. It is about pointing yourself in the direction of growth, training yourself to get comfortable with your highest potential, and then taking small steps to support that shift. It's about showing up for yourself, day by day, and then one day finding that you've undergone a transformation. and you will be amazed!